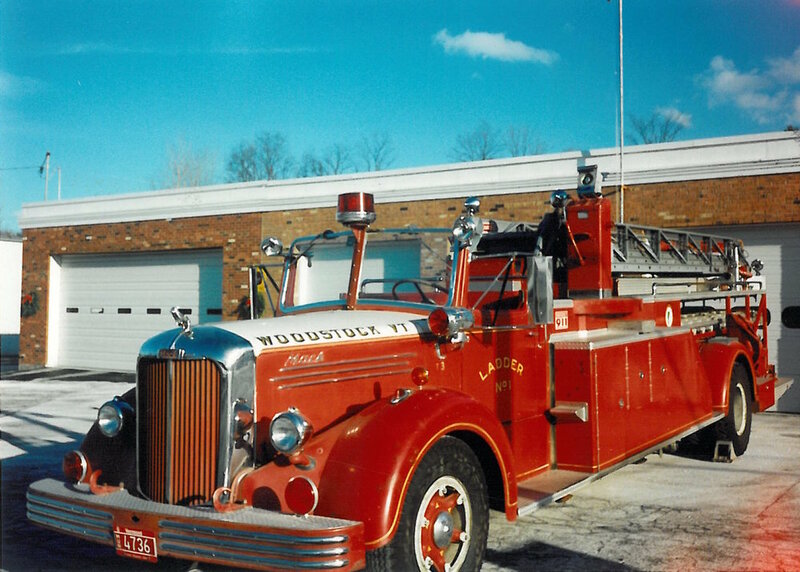 The Woodstock Fire Society was officially incorporated on the 26th of October 1820 under an act of the Legislature. "An Act incorporating certain persons therein named by the name of the Woodstock Fire Society...may purchase and hold property to the amount of two thousand dollars, and land sufficient whereupon to build a house for the safe keeping of an engine and other apparatus necessary for extinguishing fire." The first meeting was held on the last Monday of December 1820 to elect officers and appoint up to 10 fire wardens. The department only operated within the Village of Woodstock. An 1881 ordinance established the fire department, which was in effect a reorganization with gave the fire wardens the authority to choose officers. Company officers were elected by the members. By 1890, after municipal water was added to the village and hand engines retired, one Fire and Hose Company of 20 members and one Hook and Ladder Company of ten members was in place. The 1923 Maxim was in poor condition when we found it in Rutland retired from parade use by the Shriners.